Last month I unleashed the Euro Dividend All-Stars list on our community for the first time. At the time it contained about 44 dividend growth stocks that I had identified by scouring the European stock exchanges, but with your help the list has already grown to 65 companies. Today I’d like to share those new additions. Once again, the Euro Dividend All-Stars are based on the idea of David Fish’s Dividend Champions list and Trevor Witten’s UK Dividend Champions, who both do an excellent job keeping track of American and UK dividend growth stocks. The stocks I keep track of are listed in countries that belong to the Euro area. While there are a lot of high-quality dividend paying companies in other European countries like Switzerland and Norway, you won’t find them here. 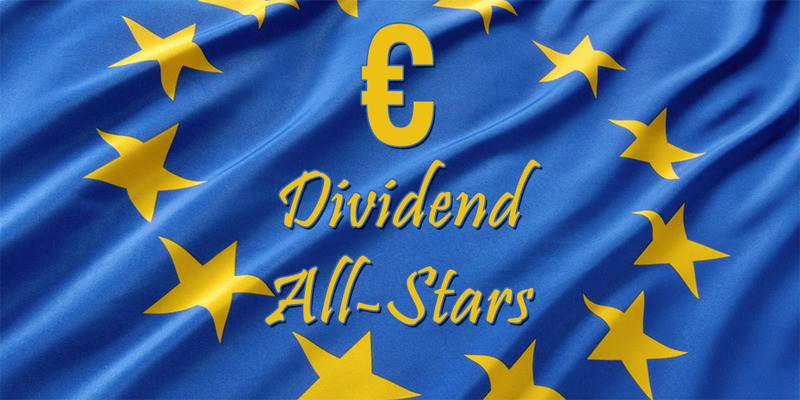 What I like most about the Euro Dividend All-Stars is not just the fact that it’s quickly growing into a useful tool, but that it has become a collaborative effort. Many of you have sent in advice and even dividend growth stocks that I had overlooked. That’s why I would like to thank Trevor from Dividend Life, Righ Neighbour, Mark, ThomasDV, Mark from Bite-sized income, Pollie, Lars, Christian H. and Philip – I hope I haven’t missed anyone. Contrary to David Fish and Trevor Witten’s criteria, the Euro Dividend All-Stars don’t just contain companies that increase their dividend payout, but also stocks that maintain it over time. As it turns out, European companies often rely on a payout policy, rather than a growth policy. As a result, increasing dividends every year is not a priority to many of them, but a maintained distribution is. To accomodate for this difference, I have added two columns under the “No. Yrs.” distribution label. The first one “I” keeps track of the years that a stock continued to increase its dividend payout, while the second column “M” shows how long a dividend hasn’t been cut. I believe this is a fair way of doing things. If you look at, Air Liquide SA (EPA:AI), for example, you can see that the French gas provider touts a thirty year long maintained dividend even though it’s just the fourth year in a row that the dividend has grown compared to previous years. 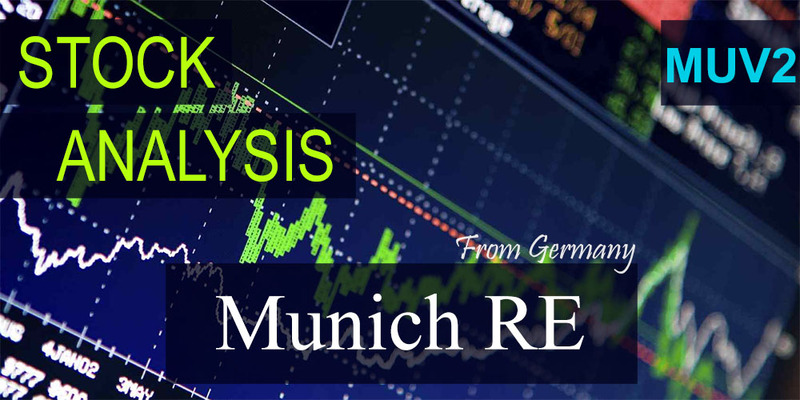 The same holds true for German dividend staple Munich Re (ETR:MUV2). Below you can find a quick recap of the companies that are brand-new All-Stars. 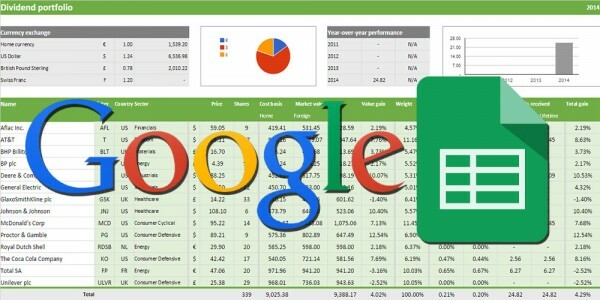 If you’re interested in checking out my list, you can do so by either downloading a Microsoft Office Excel version that’s up to date as of March 11th, or you can view the live Google Sheets version that’s updated automatically. The second month of the Euro All-Stars marks a huge jump in companies on the list. Let’s hope next month shows another strong update with at least a 50% growth in dividend growth stocks. Be sure to let me know in the comments below or through the contact form on this website if you know of any other dividend achievers, champions or aristocrats that aren’t on the list yet. Excellent list, just one comment as now you are proud ROG.VX shareholder, I believe it should be part of your list or would you not consider equities that are not quoted in EUR? The Swiss market has some very interesting companies for dividend growth or stable, Nestle, Novartis, Swiss Re etc. Roche would be near the top of this list if Switzerland jumped on the Euro bandwagon. For the time being I’m keeping this list focussed on Euro area countries only as it makes it a lot easier to manage in Excel. Maybe I’ll make a non-Euro one soon to include all the Swiss dividend growers like Nestlé, Novartis, etc. Thank you for the suggestion though, I appreciate it. Congratulations. This is the list I was always looking for! There was such a list for USD and GBP dividend growth stocks, but not for euro dividend growth stocks. Thank you very much. 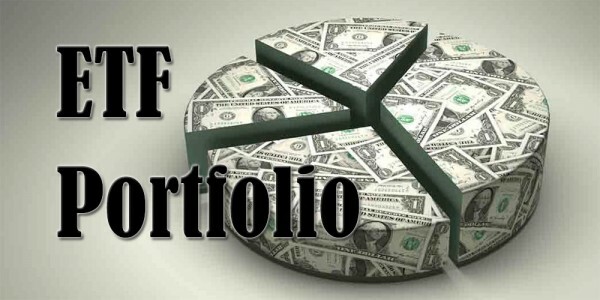 Is payout and dividend yield referred to fiscal year 2014? I am from Greece and sorry for my English. Congratulation for your investment philosophy too. And you are just 26 years old! Your list came the right time, when the Euro is down to a ten-year low. I take the opportunity to ask a relative question in the section «how to deal with foreign withholding taxes». I would be most grateful if you could assist me by answering. I’m glad to hear you find the list useful! The payout refers to calendar year 2014. You’re right that fiscal years make more sense, so I’m hoping to correct that in the near future. 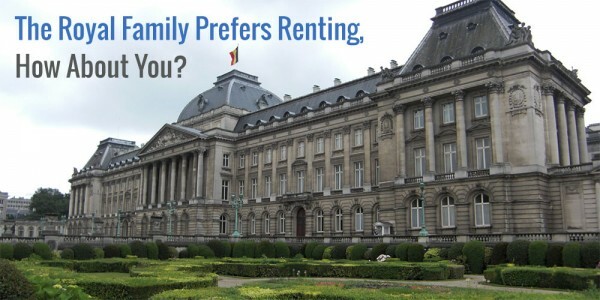 An interesting one that you might like to consider adding to the list is Van De Velde. With a yield above 4% they are definitely on my watch list. Thank you for recommending Van de Velde. I’ll have a look at their dividend growth history and add them to the list if the company meets all criteria. I have a conventional investment account, I can’t tapped into the explosive Euro stocks right now. Due to the devaluation of the Euro, It would make more sense to buy the European countries. as you can see Mr. Buffett is doing aggressively right now. Too bad I would have to pay for a broker to make a transaction. I’m sorry to hear it’s difficult for you to buy into European equities. Don’t be put off by broker fees when you spot a really good investment though. Those costs will amount to nothing over the long-haul. Thanks for adding these to your list. It’s a great look at the overall dividend landscape in Europe. I think my favorite EU stocks are in Germany and Switzerland. By the way, did you get my Twitter message? You’re welcome, happy to keep the list updated! The UK, France and Belgium also have some decent dividend stocks, although the latter two countries often offer a lower yield. On top of that there’s of course the dividend withholding tax in many European countries. I sure did now! I’m not too active on Twitter, sorry for that. Just in time for my next stock purchase. Thanks for the excellent work, NMW! Looking forward to read about your purchase, Mark! Thanks for this work NMW. It is really great and timely: 1USD = 0.94EURO this morning. Before this I was buying Euro ETFs …. that do pay 3-3.5% dividends …. DGR is another matter though. I prefer Vanguard and SPDR over DBX ETFs because they pay dividends, take physical long positions in stocks (DBX is all synthetic and derivatives) and Vanguard/SPDR are domiciled in Dublin. I understand this minimises tax leakage since US companies withhold 30% of divs from Luxembourg ETFs (no tax treaty apparently) and 15% of divs from Irish ETFs. Anyway I want to buy another Euro stock so will be going through your new list. Anyone know of other Euro companies that have tradition of share buy backs? Delta Lloyd looks an interesting and risky stock pick. Any Dutch readers have some local insight. Great yield. Turn around seems to be progressing but stock near 52W lows. I understand key executives departing … I hope this isn’t a pre-cursor to some regulatory issues? PS I appreciated our debate on your last post. You’re welcome! It’s fun researching all these companies, so I’m glad to provide our community with this list. Glad to hear you bought Munich RE. I’m adding them too with my next purchase, even though their stock has seen a big run-up the past few weeks. The downisde is, like you said, the German dividend withholding tax, but the relatively high yield and stable dividend payout over time makes up for that in my view. I believe Shell has a pretty good track record in buying back shares over longer periods of times. The Germany-based SAP might also be another candidate. Why are you specifically looking for stock repurchases? I looked into Delta Lloyd a long time ago, but found somet things that I really didn’t like, so I backed off. Can’t remember what exactly, but make sure to careful when you are looking to invest in them. BTW Glanbia dividend should be in cents I think! Nicely spotted! It’ll be updated in the next version. Thanks for this list, I appreciate it a lot. A simple question. in the column “pay.” there are mentioned letters Q, Y and B.
Q= quarterly, y= yearly, but what means B? thanks for in advance for your reply. I guess this would be biannual i.e. like in the UK, we usually receive our dividends twice a year, although weirdly they are not equal (often roughly 35:65 split) and they are not always 6 months apart! Thanks, ok good to know! You’re welcome! Hope you find it useful in your search for dividend stocks. M from Theresvalue already answered your question. The B does indeed stand for bi-annual. It’s for company’s that have a split payment. BHP Billiton and Diageo plc are two good examples in the UK. A good resource, NMW! I know that David Fish’s Div Champions list is a major source of information for where I invest–I’m sure a similar tool covering Euro stocks would be definitely helpful. That’s the idea at least! I’ve found the list to be useful for myself as it gives a pretty good overview of which companies have decent dividend track records and are valued fairly, which is hard to find these days. Thank you for dropping by again. Very interesting stuff. Good work and great adjustments for the Euro companies, much appreciated. You’re welcome! Hope you find something that suits your fancy. Thanks for compiling this. An excellent resource! I look forward to being able to use this once I discover the best way for me to invest in European companies directly without being too badly affected by broker’s fees. You’re welcome, I really enjoyed searching for dividend stocks. It’s somewhat of detective work here in Europe. How high are your broker’s fees for European stocks? Hope you find a solution. I find it interesting that these European companies solely rely on maintaining their dividend rather than increasing it over time. On one hand that is good, on the other it seems that it might fall behind inflation over the long haul. Definitely a good list, thanks for putting it together. The goal is not to maintain their payment per se, but rather keep the distributed percentage of their earnings the same. So if the company continues to increase its earning per share, the dividends continue to rise. However, if the earnings drop, the dividend should drop. However, that’s when they try to maintain it until earnings pick up again as not to undermine investor’s faith. At least that’s what I’ve gathered from my searches. The approach is a little different from most US-based companies, but not fundamentally so. Hope you find the list useful! You’re welcome, M! Let me know if you add some EU stocks to your portfolio now that the Euro is cheap for you guys. will do, my man. am currently considering 2 new UK stocks and a micro-cap startup company that isn’t listed yet – oo-er!! Sounds exciting! Looking forward to read about the startup soon. thanks for your site. I read Dividend Mantra quite a while, and just found out your post, in a search for a EU version of the Dividend Aristocrats/Champion list. Your website set-up looks similar to that of DM, so easy to understand. Nice to have a similar blog around the corner as I live in NL. one question on your all-stars list regarding the year mentioned under Annual Dividend: which year are you taking? E.g. Sampo has proposed dividend of €1,95 for 2014 (and €1,65 for 2013), and AXA has proposed dividend of €0,95 (2013 €0,81). Or are you taking the year in which the dividend is actually paid? Then still it would make sense to include the information of the newest dividend, e.g. by adding a column 2015? Or don’t you want to include the ‘proposal’ status of a dividend, because you ‘never know’? Glad you found my website and to hear that you find it accessible. And it’s always fun to hear from other European investors, especially if they live nearby. Good question! I list the dividends in the (calendar) year that they were actually paid, so not the fiscal year that the corporations report them. A dividend that is announced on the 2014 earnings, but paid in April 2015 would go in the 2015 column in the spreadsheet. I’m going to add the 2015 dividends soon based on actual payments, but the priority for now is building the list. If you have any suggestions, let me know! That was a great listing. I haven’t decided whether I want to buy individual dividend growing European companies or just one or two European ETFs for the international exposure but this will really help in the decision process. Glad you find the list useful! I believe it’s a great time for you to be buying into European stocks or ETFs as the Euro is down to a ten-year low. Great list! If you decide to include other european markets outside the EU, there are a few swedish stocks that will do well on the list. H&M have never lowered the dividend since it became publicly traded 40 years ago, and another 10 companies that haven’t lowered their dividend for at least the last 10 years (Atlas Copco, Wallenstam, Swedish Match, TeliaSonera, Alfa Laval, Skanska, Beijer Alma and Kinnevik). Castellum and Hufvudstaden have been raising their dividends for 18 straight years. TeliaSonera is also noted in Finland in Euro, so you can add that to your list (perhaps the dividend in Euros have been lowered due to currency fluctuations, I’m not sure). Thank you very much, both for your comment and for your excellent suggestions! I knew Sweden had some excellent dividend growth stocks on offer, but that their history was that long was unknown to me. I guess I’ll have to do some more research! I’ll add all the companies that you mentioned to my own spreadsheet and once I have the time I’ll probably also release a non-Euro list for other European countries. Hello NMW, I am from Spain, thanks for your list, and sorry for my English. I have seen that two Spanish companies are removed for the list, REE and SAN, but this companies have increased the dividend, This is a mistake or there are a reason? REE and SAN are both very much still in the list (line 50 en 54 in the Google sheets version). They’re one of the better dividend growing companies in Europe even! Are you sure you don’t have one of the filters turned on at the top?